Welcome to our parish website. Here you will find information on Service times, activities and who we are. 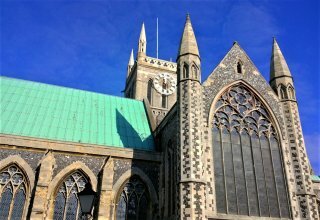 We are the Parish of Great Yarmouth: the Church of England for the whole of Great Yarmouth. There are wonderful services every week as we celebrate God’s love for all and many activities across our three churches: The Minster, St Paul’s and St Mary’s. Come and find out more and get in touch if you need to be. We are here for each and every person in our town, whether or not you think of yourself as a churchgoer. All bookings of Minster and all church halls are now managed by Tracy Lacey at the Parish office, usually Monday 13.30-15.30. All booking enquiries to: office@gyparish.onmicrosoft.com (not other parish email) or call the office.